William Randle of the Missouri State Highway Patrol Crime Lab displays the The Technician forensic science journal. Microscopy students at McCrone Research Institute in Chicago. 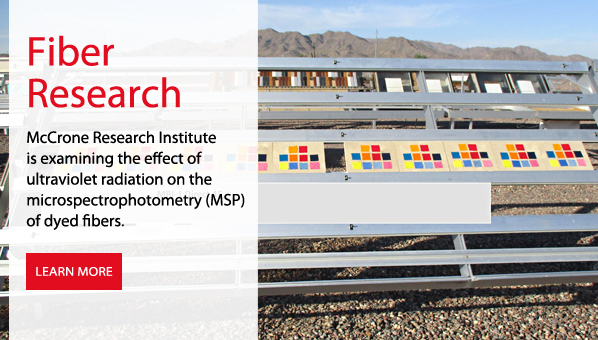 Sample boards with fabric swatches in position for sunlight exposure in Arizona. 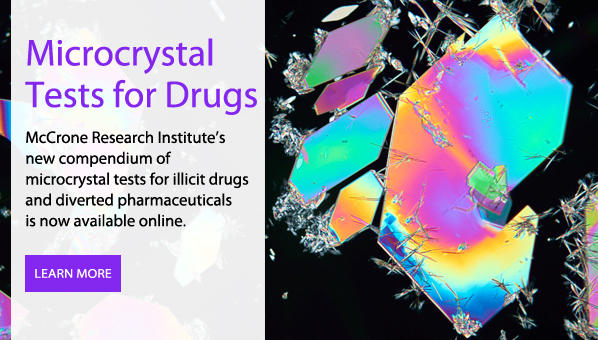 McCrone microscopy training courses include particle and contaminant identification, crystal characterization, sample preparation, and microanalysis. 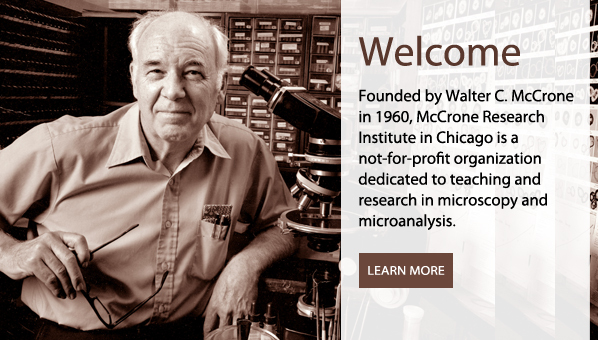 Inter/Micro 2019 will be held June 10-14, 2019 at McCrone Research Institute in Chicago. 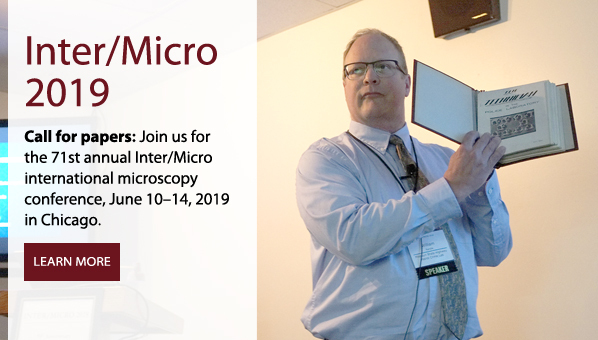 Join professional and amateur microscopists at the premier international microscopy conference. 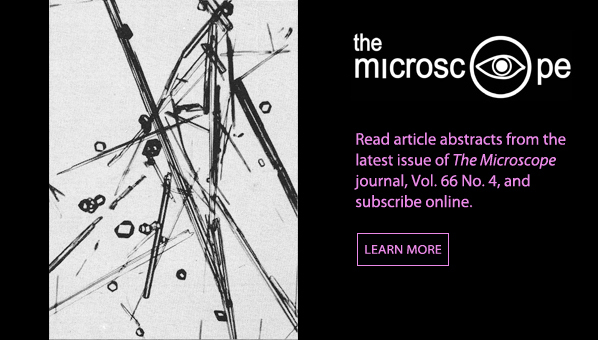 Microscope Publications (division of McCrone Research Institute, Inc.) publishes The Microscope journal, The Microscope Series monographs, and many other titles. 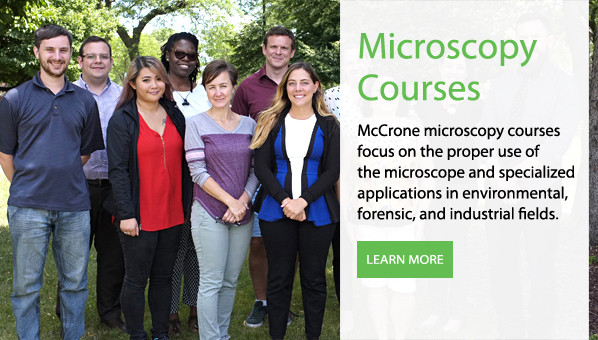 McCrone’s applied research in microscopy and microanalysis addresses problems in the forensic, industrial, air quality, asbestos, environmental, and conservation sciences.